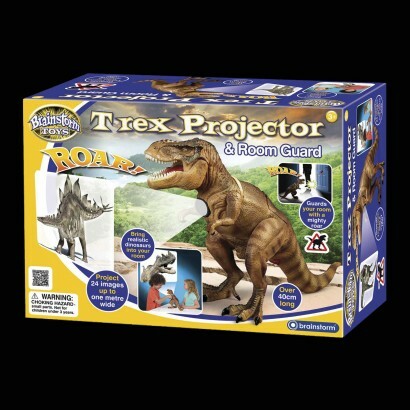 Sneaky siblings don't stand a chance with the T-Rex projector and room guard around! 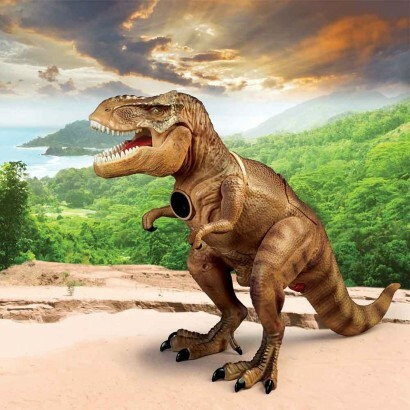 T-Rex senses movement in your room seeing off unwanted guests with a mighty roar. If that wasn't enough, this prehistoric guard dog also projects up to 1m wide images of real dino's so that you can get up close and personal with eighteen different dinosaurs. 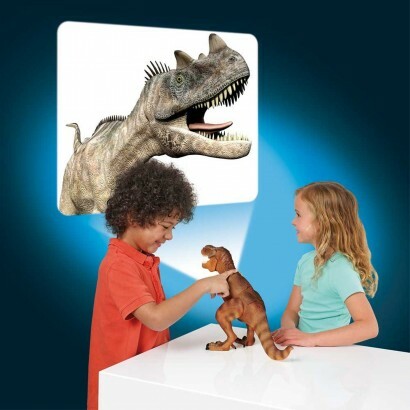 A high quality T-Rex shaped projector, twenty four images or eighteen different dinosaurs are projected from three changeable disks. 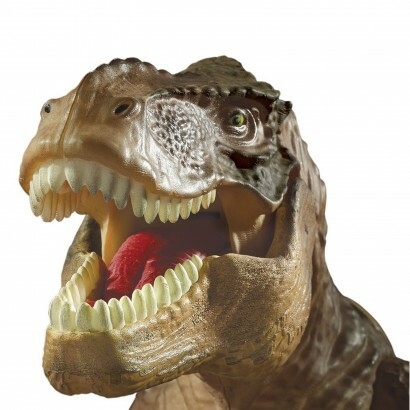 Use T-Rex's arms to focus your images and turn the disc to select images for projection up to a whopping one metre wide. Motion sensitive, place T-Rex close the door in your room and his motion sensor will detect unwanted guests and see them off with one of five fearsome roars, if he's picked up, a trembler alert will see him roar in protest ... he even comes with secret code for you to unlock intriguing dino facts about these fascinating creatures.